We provide you with the insights, cases, tools and training that will help you put your words of responsibility and sustainability into value-adding actions. We help you build the business case of corporate social opportunity by turning risky business into good business. 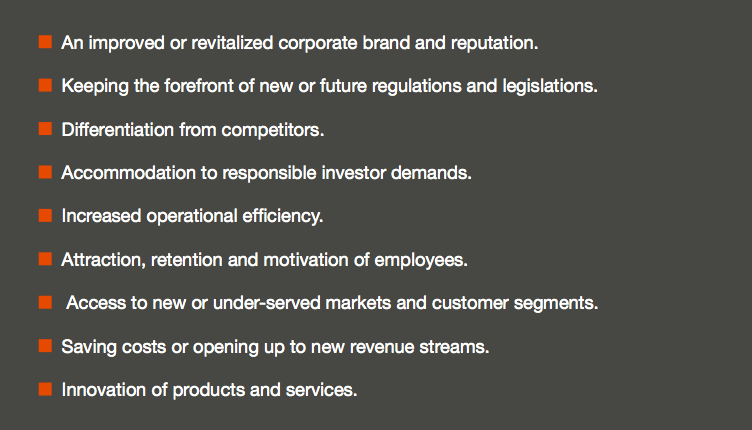 New rules for future economic growth are paving the way for business unusual. Companies are future-proofing their business by building corporate responsibility and sustainable value-creation into their core. Not (only) because of moral obligation, but also because it secures long-term growth and provides new business opportunities that cannot be missed. All our consulting and training services are aimed at assisting companies, who want to address business risks like resource scarcity, poverty, climate change and social inequality in a proactive manner. We help you shift from risk minimization to business optimization by turning your philanthropic and/or compliance-based responsibility and sustainability efforts into strategic and integrated business solutions. To do this, we blend the disciplines of business strategy, social value creation and innovation. Because we believe that sustainable practices that create both economic and social value will secure business and long-term growth as well as the well-being of people and planet. 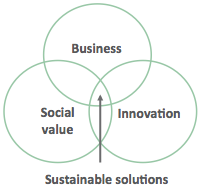 Because corporate social innovation is the name of the 21st century business game. You can read more about our business approach and philosophy here. We believe that the most sustainable way of running a company is to build the values of sustainability, responsibility and meaning into the heart of business strategy – and into the heart of the organization. Clear Purpose (business strategy); Corporate Engagement (involvement of the organization and employer branding); Collaborate Co-Creation (innovation through partnerships); Clear Communication (stakeholder interaction and corporate branding). You can read more about the four cornerstones here. © Tania Ellis. All rights reserved. All of our consulting & training services are designed to help you focus your efforts, save time, avoid (expensive) pitfalls, and – most importantly – to develop your business in innovative ways that create both economic and social value. You can find more details about our services in the menu bar to the left at the top of this page. 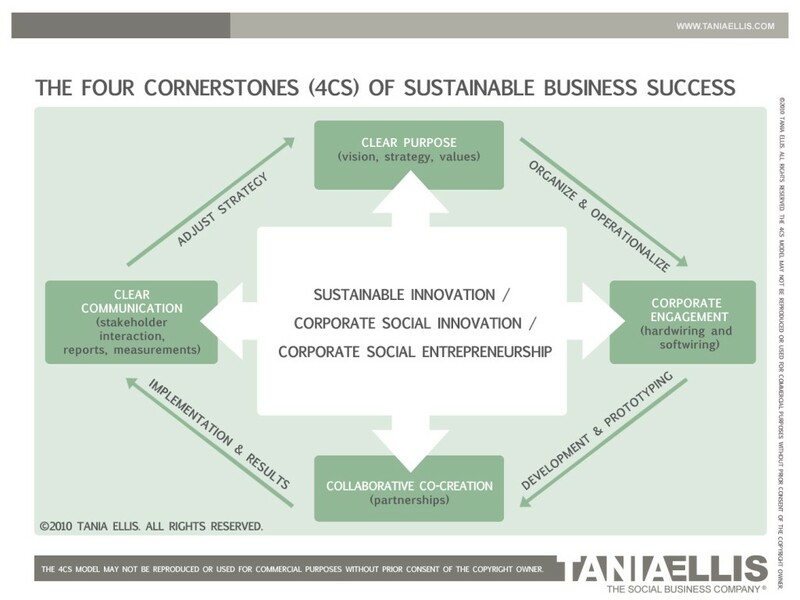 There is no one-size-fits all formula to creating sustainable business success. Partly because it is a journey more than an end-state, but also because it depends on the company’s culture, ambitions, market challenges etc. We add value by helping you build your own business case of corporate responsibility and sustainability. In short, we help you do good and do well! Companies do good while making a profit. Public institutions deliver welfare solutions and are run like a business. Non-profit organizations use market methods to create social value. 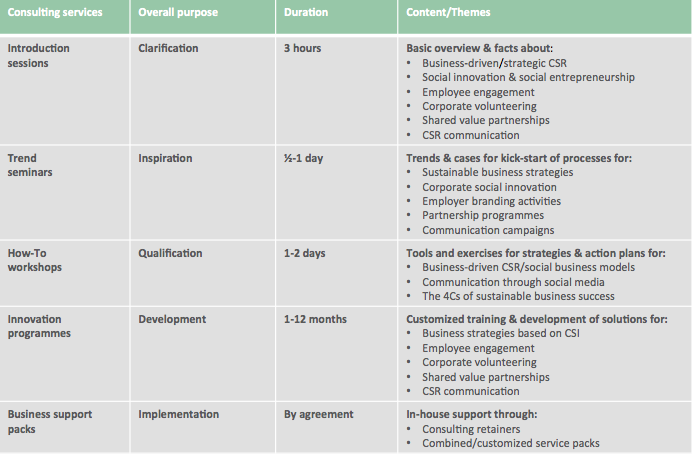 Social entrepreneurs create hybrid organizations with traits from all three sectors. This is reflected in our client base, which includes ministries, unions, business schools and universities, municipalities, NGOs, business networks and associations, think tanks, trade unions, entrepreneurs, medium-sized companies and multinationals. Ministries, for example, want to develop new policies for corporate responsibility or sustainable consumption. 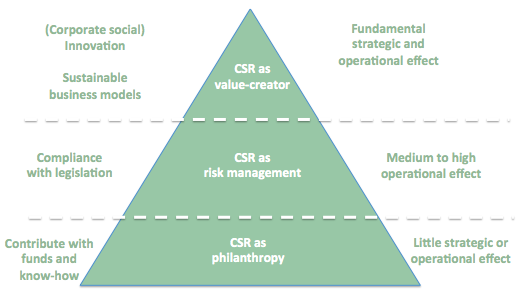 NGOs want to partner with companies to create more social value. Businesses want to create a workplace that can attract the new generation of talents. And entrepreneurs want to develop products and services that meet people’s needs in new, sustainable ways. You can get inspiration for your own business activities from our many Cases & Clients here.